Welcome back to day four of JustRite Papercrafts September Release. Today is my last day of inspiration for you using the new stamps and I have a really pretty card to share with you with a pretty cool technique as well. My card is using two brand new stamps. 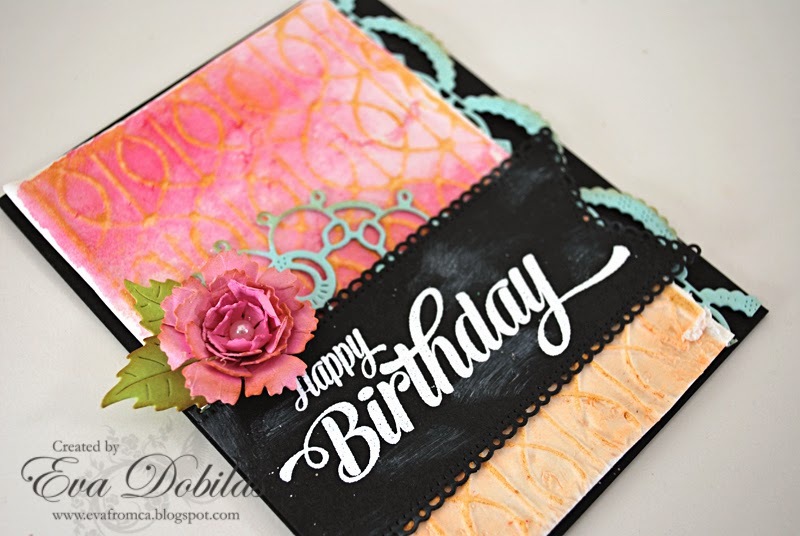 One is called the Extra Grand Birthday Sentiments and the other one is called the Modern Lattice Cling Background stamp. 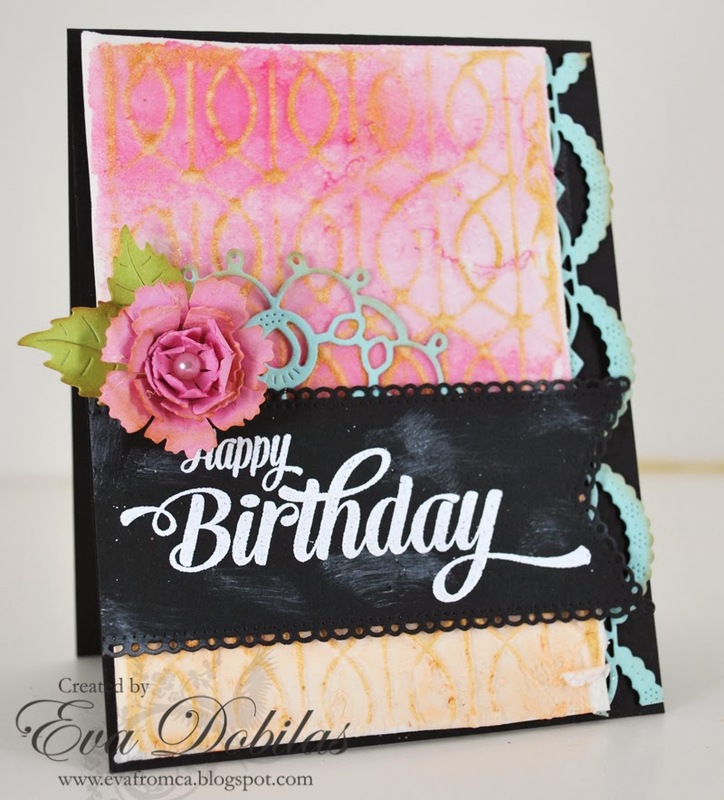 This card was also created for the newest Cheery Lynn Designs All About Texture Challenge. So the way I started this card out was super fun. I cut a piece of card stock just big enough for the background stamp size and I added a thin layer of molding paste. I dried it enough that I can stamp my background image into it and finished drying it. Once it dried I watercolored it. Once that dried too I went over the raised line with a Gold ink pad to highlight the stamp design. Pretty fun, right? I die cut a fish tail using Cheery Lynn Designs Horizon Fishtail Banner dies using black card stock, than I white embossed my large sentiment on it. I added that to my card front and finally I added a few a pretty flower which I created using Cheery Lynn Designs Sweet Williams Strip dies and their Rose Leaf Strip. My pretty doily came from their Dutch Scallop Square dies and I also used their Sophia's Heart border die. Here is what the super fun Extra Grand Birthday Sentiment set looks like. I love this set so much!!! And now it's time check out what my talented design team mates have waiting for you. Here is the list of the ladies who are participating today. Thanks for stopping by and have a beautiful weekend!